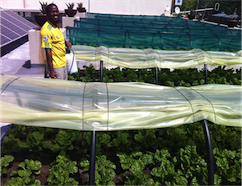 Organically grown vegetables and herbs irrigated under rainwater, and harvested for job creation and local charities. 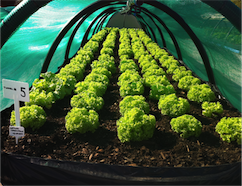 The tunnels consist of either 40% shade-cloth or greenhouse sheeting, which is able to be closed during the colder winter months, and open for ventilation during the hot summer months. Crops are rotated ensuring biodiversity and soil preservation.